... he was 64 when he died from liver problems. 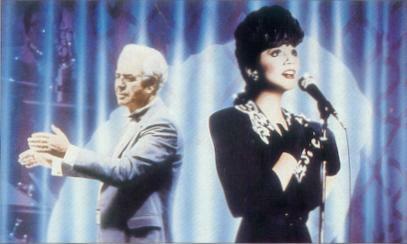 Riddle's long career as a bandleader and arranger, lasted 40 years; from the 1940s until the 1980s. He began taking piano lessons at the age of eight and trombone lessons at aged fourteen. After he graduated from High School, he spent his late teens and early 20s playing trombone in and occasionally arranging for various local dance bands, culminating in his association with the Charlie Spivak Orchestra. -- "Theme From Route 66"
In 1943, he joined the Merchant Marine, serving at Sheepshead Bay in Brooklyn, New York for roughly two years. During this time he continued working for the Charlie Spivak Orchestra and he studied orchestration under his fellow merchant marine, composer Alan Shulman. After his enlistment term ended, Nelson travelled to Chicago to join the Tommy Dorsey Orchestra in 1944; he remained the orchestra's third trombone for eleven months until drafted by the United States Army in April, 1945. In 1946 he moved to Hollywood to pursue his career as an arranger. For several years he wrote arrangements for multiple radio and record projects. 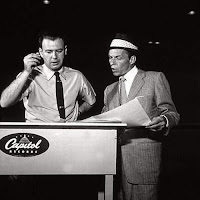 He went on to form his own orchestra providing jazzy big-band style arrangements to accompany such as Frank Sinatra, Dean Martin, Nat King Cole, Judy Garland, Peggy Lee, Ella Fitzgerald, Shirley Bassey, Matt Monro, and many others. He also arranged Linda Ronstadt's highly acclaimed series of pop albums. Riddle also worked on movies and television. He arranged and scored the Batman TV series, as well as films including Ocean’s Eleven, Robin and the Seven Hoods, and The Great Gatsby. Riddle won an academy award for Gatsby.